(ii) assists on-setter in pulling empty tubs out of cage at bottom of shaft (S. Wales). assists onsetter (q.v.) in putting loaded trams on cage. draws tubs down incline with aid of rope and balance box. is employed as balancer (q.v.) or in similar capacity at top of haulage incline, below ground; of . bank head lad (049). rides on trams or tubs on haulage planes, either underground or on surface; in Durham applies brake when necessary (/« other districts done by brakesman); attaches and detaches stt of tubs when necessary; gives signal if tub runs off rails. marshals full tubs into sets or rakes, at top of self-acting incline; or attaches and detaches tubs singly where incline worked by endless rope; cf. bencher (044). places blocks on rails to prevent sets running back; knocks away blocks when signal received to piss sets on and gives signal to engineman by knocking rod or by means of electric bell. (ii) rides on bogie, which is fitted with strong clip to grip haulage rope, and is thus pulled along haulage road, dragging set of tubs behind; see hank rider. (ii) see onsetter; sometimes specifically designated, e.g. night bottomer. (ii) in Durham, cf. . winding engineman (950). draws wicker carts or hods of coal along a face in a coal mine where workings are very low; pushes empty hods back again; may also shovel coal at face into cart. drives horse and cart along underground roads. as for block attendant, where a catch, fixed to the rails, is used instead of block. supervises movement of tubs on underground roadways, so as to clear coal away from working face. attaches and detaches single tubs to or from ropes on haulage roads by means of clips or grips. takes clip off haulage rope when tubs reach terminus or branch road. works clutches by which pulley on endless rope haulage system may be thrown in and out of gear and thus cause haulage engine to haul at will on any one of several branch roads. moves conveyor forward, as face or gateways advance, in thin seams, where height is insufficient for tubs or hods; places coal on conveyor belt. attends to tubs or wagons at delivery end of conveyor, pushing empty tubs under discharging belt and pushing them on when loaded; pushes tubs along gate road between loading end of conveyor and haulage road. in charge of mechanical conveyors installed where practicable at working face; supervises conveyor lads; oils machinery; controls levers. couples corves or tubs together or attaches tubs to haulage rope. links up tubs or trams in journeys or trains at top or bottom of incline or at passbye, or at pit top or bottom; also uncouples tubs where required. pushes trams or tubs into passages at pit bottom called slums, and shackles or couples them together to form sets or "rakes" ready for haulage; sometimes similarly employed on surface. (ii) Scottish term, as for bank rider. attaches and detaches sets of tubs to and from haulage rope, attaches back stay to last tub or set, and signals away set when ready at bottom of haulage incline. hoists corves of coal on to rolleys with crane; also apportions work or quantity of coals to be " put" by barrowmen; now obsolescent, owing to introduction of winding machinery. pushes tubs on to rails fitted with "creeper," i.e., endless chain travelling in centre of railway under tubs, provided at intervals with vertical projecting fangs which engage with tub axle and push tub along. a brakesman (q.v.) controlling speed of tubs on dillies, i.e., self-acting haulage systems on short inclines. (ii) pushes loaded hutches on to cage at top of drop pit or on to carriage at top of self-acting carriage incline. attaches and detaches sets of tubs to or from haulage rope at head of "dook," or haulage incline; detaches hack stay from full set and returns it in one of tubs of empty set; operates stop-blocks, or runaway switches; signals empty sets away and pushes them over brow; sees that haulage rope is properly on pulley or roller at brow. attaches drags to rear end of tubs ascending on haulage incline; cf. crane footer. stands at bottom of haulage incline and drags down haulage rope. controls and manipulates at pit bottom tubs after disconnection from haulage rope ready for bottomer, onsetter, or assistant bottomer (q.v.). pushes coal or shale in tubs or corves from working face to pass-byes on main haulage road, along which it is afterwards taken to shaft by mechanical means. drives horse or pony used for hauling tubs in coal or shale mine or on surface. general term covering all workers on endless rope or chain haulage roads, including clipper, crane footer, jigger. attends to rope of endless rope haulage system work; cleans and oils pulleys, sheaves, rollers, etc., and does all minor repairs. couples or detaches tubs at foot of pit bank; cf. coupler. a rolleyway man (q.v.) who is responsible for condition of ropes, sheaves and rollers, and also for signal arrangements; splices and sockets ropes. couples full and uncouples empty tubs at "flat" or working face terminus of haulage system; places chocks at flat ends to prevent tubs running away. Warwickshire term, see flat keeper. a young boy employed to help a bigger boy to "put" or draw; pulls in front whilst the header (big boy) pushes behind. see driver; Galloway horses are much used in mines. as for guard (702) (q.v.) on underground trains conveying workmen to and from working places. an assistant onsetter (q.v.) who couples empty tubs to rope at bottom of self-acting incline. general terms for any person working on haulage system either above or below ground, including clipper, lasher-on, roadman (044), chainer (haulage), etc. see driver ; sometimes specifically designated, e.g. night haulier. a putter (q.v.) working with assistance of a foal (q.v.). in Warwickshire, tightens clips on ropes on hill or incline before reaching steep place on underground haulage roads; cf. hillman (049). see onsetter ; sometimes specifically designated, e.g. night hitcher. pulls full tubs off cage at surface, or empty tubs off cage at pit bottom. Warwickshire term ; a drawer, putter or trammer (q.v.) who conveys tubs from pass-bye to working place; often helps hewer to fill tubs; sometimes used in sense of corporal (041) (q.v.). runs "hutches" (tubs or trams loaded with coal or shale) from cage to tipplers on surface, or between haulage terminus and cage at pit bottom, where "creeper" (endless chain) is not in use. may be either incline brakesman or incline boy (q.v.). attaches and detaches tubs to haulage rope or chain at top or bottom of incline cf. endless rope boy. a brakesman (q.v.) working self-acting inclined planes, either above or below ground, controlling movement of tubs or wagons by means of brakes. a jigger boy (q.v.) who is mainly engaged in hitching on at top or bottom of incline. attaches or detaches tubs, singly or in pairs, to or from endless rope, by placing rope in fork of "jigger," or double crook, in socket at one side or at end of tubs. assists junction man (q.v.) by pushing tubs, moving switch levers, or signalling by means of electric bell or other method. in charge at junction, where haulage tracks branch or cross; hooks or unhooks tubs from one rope to another to send them to proper destination; alters points of track by hand levers; gives haulage signals by electric bell or other method. attends to haulage tubs as they arrive on landings at junctions or at extremities of haulage system; pushes tubs off and on main track; detaches and attaches tubs to rope; couples tubs into sets or trains. fastens boxes or tubs on haulage rope by means of lashing chains; cf. clipper. a boy who assists driver (q.v.) by leading pony by bridle. carries couplings, or shackles, from place where they have been detached from loaded tubs at one end of haulage road to place where empties have to be coupled at other end. inserts lockers, scotches, sprags, or snibbles, into wheels of trams to check speed or to prevent their moving when disconnected from haulage rope at landings, junctions or pit bottom; gives signals to junction man. uncouples tubs one at a time from set and lowers them down siding to onsetter (q.v. ); cf. taker- off and assistant onsetter. 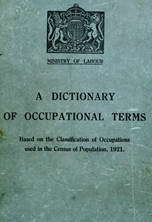 general term for any man or boy engaged in mechanical haulage, including haulage hand, etc. (q.v.). (ii) see clutchman; cf. brakesman. stands at bottom of shaft in coal or shale mine to push full tubs on to cage and remove empty ones; signals to winding engineman when to start or stop winding; sometimes specifically designated, e.g. night onsetter. oils or greases rope rollers, and does other light work about engine plane. moves points or switches controlling movement of tubs or wagons on colliery railway or on underground haulage roads. moves forward coal conveyor as face or gateways advance. fixes pulleys or rollers on haulage road, and refixes any displaced; examines and keeps in order pulleys and other wheels used for hauling or lifting; sometimes done by rolleyway man (q.v.). (ii) slang term for charge haulage hand who supervises work of haulage hands; cf. haulage foreman (041). helps drawer in pushing tubs when gradient too steep for one. (ii) in Scotland see pusher-up. gives and receives signals on mechanical haulage system; raps on hollow tube or rings electric bell, etc. attends to shaft signals at insets where persons only are wound. see bank rider ; sometimes specifically designated, e.g. night rider. assists rolleyway man (q.v.) on endless haulage system, oiling, watching bends, etc. a driver (q.v.) who drives horse or pony hauling setts of tubs to or from sidings or rolleyway track. keeps in repair and working order roads or planes along which wagons or trams are hauled by ponies or by ropes attached to stationary engine; sometimes also supervises haulage hands; cf. haulage foreman. transfers rope from one set of rails to other after sett of tubs has finished its journey on inclined plane. unclips tubs from one haulage rope and clips to another at junction, siding or landing; cf. junction man. attaches rope end to tub to be hauled on main and tail haulage system. guides incoming rope on to winding drums of main and tail haulage engine. examines haulage ropes, splices and re-caps them. splices ropes of hauling system; sometimes done by rope inspector (041) (q.v. ), by ropeman or by rolleyman (q.v.). a clearance man (q.v.) clearing tubs from a section only. an incline boy (q.v.) working on a self-acting haulage incline or jinney. a rolley way man (q.v.) who makes up setts of tubs for haulage. assists onsetter (q.v.) at shaft bottom pushing full and empty tubs in and out of sidings and cage; cf. assistant drawer, assistant onsetter. operates signals and switches for men driving trucks and trains on colliery railway; strikes bell or hollow tube with hammer, or rings electric bell. a bank rider (q.v.) employed on a slope road or incline. engages or disengages sneck or catch which holds tubs in pit cage. an incline boy (q.v.) who attends to tubs on spunney or short self-acting incline. Cumberland term, see rolley way man. a brakesman (q.v.) who works at top of staple pit, a small pit sunk inside main pit. assists Staple braker (q.v.) by attaching and detaching tubs and pushing them from staple pit to main haulage road. assists stone contractor (041) (q.v.) by pushing full and empty tubs from place, where stone is being ripped, to main haulage road. puts or draws stone in tubs from drift or canch to stowboard (below ground) or from bank and picking belts to stone heap (above ground). a jigger (q.v.) who only detaches tubs from haulage rope at top or bottom of haulage incline or at end of haulage road. receives small trams of coal from low stalls and transfers coal to larger trams with shovel, where height of roadway permits. drives pony in traces, to assist driver's pony attached to tubs, either above or below ground. general term for boys employed as haulage hands underground; cf. haulage hand. turns out, i.e., pushes full tubs from pass-bye levels or sidings at top of self-acting machine, at bottom of "dook" or dip, or at branch off mechanical haulage road, ready for bencher, chain runner, or bogie man (q.v.). sees that empty tubs are properly shared out among coal face men; duty usually performed by haulage foreman or corporal (011) (q.v.). as for banksman (049) (q.v.) placing empty tubs on and withdrawing full tubs from cage at top of staple pit underground. undoes lashing chains, by which tubs or trams are fastened to haulage rope, at landings. unshackles tubs from rope and from each other at weighing end of haulage system.